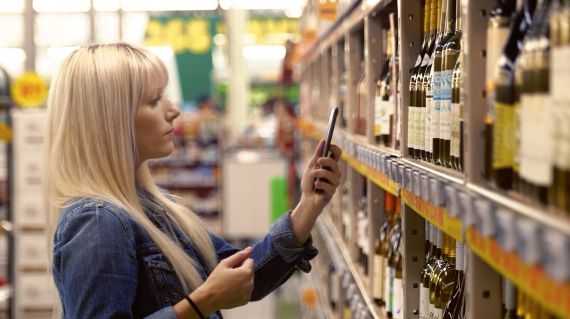 The SEAR iPhone App is a proof-of-concept that provides shoppers easy awareness to the best products that match their lifestyle, increases convenience, enables discovery and creates serendipity to deliver on the promise of connected grocery stores at a glance using augmented reality (AR). The 365 by Whole Foods Market stores already represent the future of grocery with a modern technology backend foundation that also provide existing APIs to data from partners including www.sageproject.com and www.delectable.com , allowing for an extension of meaningful information to occur right at the customer’s fingertips. This touchpoint also incorporates the Electronic Price Labels from www.pricer.com to precisely anchor the AR content in a compelling way to the shopper… demonstrating how delightful, yet powerful this technology can enhance the in-store customer experience. We also focused the concept on how we could shorten the distance between customers and information. The experience dynamically changes to best match the information shoppers should see based on distance from products. The features and functions of the app are all specific to the distance range the customer is viewing. The UI and content is displayed to support the notion of quick glances so users are never walking around staring at AR. All detail views switch to a card view that locks to the screen for normal phone viewing behavior.